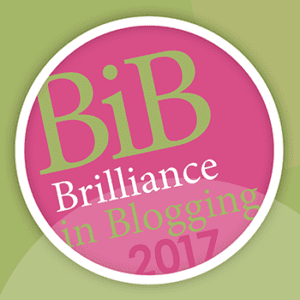 Every year BritMums highlights the best of parent lifestyle blogging in our Brilliance in Blogging Awards – the BiBs. It recognises the most creative, inventive and compelling blogging of the year! 2017 has been a fantastic year for the BiBs. Thousands of votes were cast across 11 categories for a host of excellent influencers. 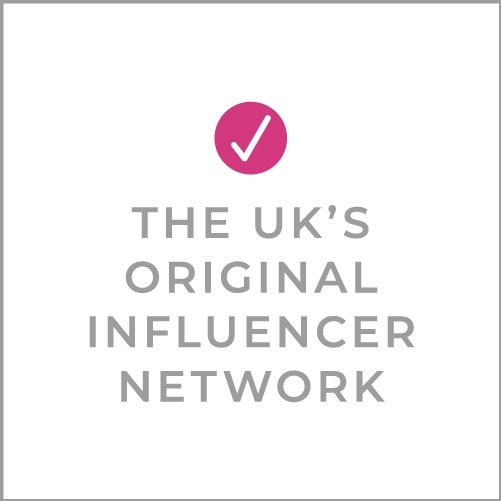 In addition the BritMums judging panel selected one person as a BritMums Choice Winner because of their work not only as an influencer but as a positive force in the blogging and social media community. Everyone shortlisted in this year’s Brilliance in Blogging awards is applauded by the BritMums panel, their readers and their peers for innovative and highly engaging blogging and social media. The nominated bloggers in each category went down to 8 finalists by public vote. These blogs represent the best in their niches and BritMums applauds them all for the heart and effort they put into the work they do. We celebrated all the BiBs nominees at the official BiBs City Cruises Party on the Thames on Saturday 30 September. Departing from the shadow of the London Eye, we took in the sights of the capital from the Thames on a high-spirited jaunt with London’s No. 1 sightseeing cruise. The winners are chosen by a combination of public vote and judging by the BritMums team based on selective criteria: aesthetics, the quality of the content, unique voice and exceptional quality in each category. The 2017 Brilliance in Blogging awards were announced at the BiBs ceremony on Saturday 30 September at BritMums Live. This award celebrates the newbies in the blogging world. The blogger’s actual age doesn’t figure; rather it’s their fresh approach to blogging and social media – with content, pictures, video and voice that makes the rest of us take notice. Blog should be less than 18 months old, or recently relaunched. The award for blogs good enough to eat. These nominees have a knack for writing about food, recipes and the rituals of eating, often accompanied by mouth-watering images. Yum! The content, the voice, the infectious enthusiasm of these bloggers encourages everyone around them. They are seen as leaders in their field and their inspiration is felt through the community. It’s not just about blogging. Think of your entire social media footprint: Twitter, Facebook, Instagram, G+, Pinterest with a little Vine thrown in for good measure. Heck, you may not even have a blog, but the Internet knows who you are. These bloggers harness the power of video and marry it with compelling viewpoints, informative how-tos or just compulsively watchable clips. At their heart, vloggers are real people having a chat with you. Family travel blogging runs the gamut from round-the-world travelogues to just-down-the-road outings. Blogs in this category are passionate about travel and discovery and it shows, via pictures, evocative descriptions and a realistic perspective of travelling with kids. These bloggers combine classic photography skills with an eye for creativity and an interest in harnessing the latest photo blogging tools. This is for all you fashion and beauty lovers. To paraphrase Coco Chanel, a fashion blogger’s site should be two things: classy and fabulous. Bloggers in this category have both. Being a parent adds an interesting dimension to fashion and beauty coverage – combining a world view with a catwalk view. They stitch, they glue and so much more, and they tell us how to do it. We marvel at the creativity of these bloggers and — along with our crafty kids — are grateful recipients of their expertise and knowledge. These blogs that share the laughter and tears of family life, telling stories that elicit a-ha’s and understanding from all of us. They are honest and open about the realities of family life and we love them for it. For blogs that grab your attention and won’t let go, with great design, great writing, great images — the entire package. Once we find these blogs, we fall in love. Our special vote went to a blogger with a great sense of community and a passion for the craft. Eeeeek! Thanks BritMums. I’m on such a high. So honoured to have won.